Calum Forsyth of H+H puts the case for masonry construction methods as a key part of the solution to the UK housing crisis. The Government has been clear it wants housebuilders to deliver far more units per year, which means the strong demand for aircrete is likely to continue, a product ideal for meeting the performance requirements of modern construction. Delivering the much-needed volume is a huge challenge, and, as an industry, we must innovate to meet demand. The arguments over delivery between “offsite” and “traditional” are unhelpful, as they ignore the plethora of innovation and new ideas that fall somewhere between these two extremes. The clear performance benefits of masonry (thermal insulation, fire resistance, flexibility in use, familiarity and, above all, longevity) makes it stand out against alter- native build materials. Often considered a traditional material, there’s no reason why masonry-based solutions cannot have a role to play in a modern, forward-thinking approach to volume housebuilding, provided a creative approach to implemen- tation is taken. Aircrete is an extremely versatile material, however it is often overlooked for foundations as it is incorrectly assumed that it is not fully load-bearing. This often leads to over-design, as dense aggregate concrete blocks are specified for foundations, despite being more expensive overall. Recently, Calfordseaden, an independent construction and property consultancy firm, conducted a Foundation Cost Comparison Study which identified that constructing foundations using aircrete blocks is more cost-effective than dense aggregate alterna- tives. The study, which used a typical three-bedroom semi-detached UK home, showed that changing the foundations to aircrete alone could reduce total build costs by almost 25 per cent. This is achieved through aircrete’s naturally quicker build speed, which leads to reduced labour costs, and the solid construction, which means that fewer materials are needed. An innovative manufacturing process developed in partnership with two leading manufacturers has provided a unique new way of utilising aircrete blocks. 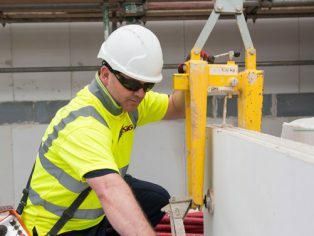 The I- House System incorporates storey-high panels of aircrete that are manufactured offsite and delivered ready to be craned into place onto a bed of thin-joint mortar. This build system provides a way to build the entire weatherproof structure of a new home on site, from foundations to roof, in just one week. The full system comprises the inner leaves of external cavity walls, floors, lintels, cavity closers, insulation and roof trusses, with the inclusion of soffit and fascia, creatng the internal skin of a property, fully wrapped and ready for follow on trades, all in five days. Aircrete panels are used on the inner leaf of the cavity walls and for internal partition walls, including separating walls. Where required, standard thin-join aircrete blocks are used in combination with the aircrete panels, allowing the system to accommodate non-standard details such as bay windows. 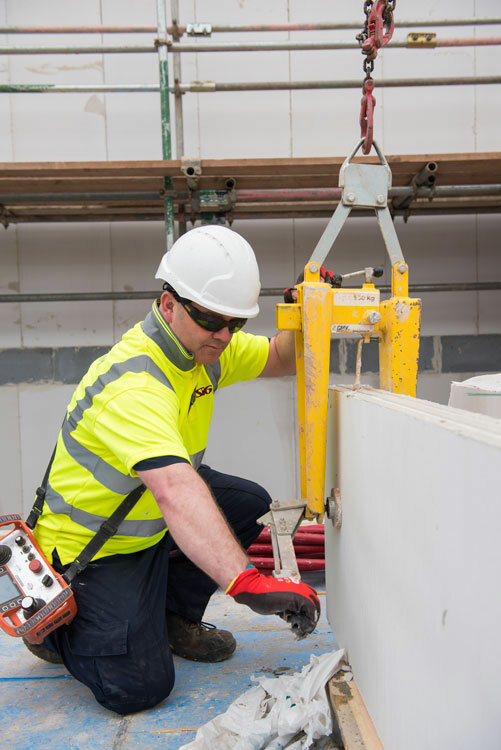 The system can be quickly assembled onsite using a team of three with a crane operator, and is fixed onto standard foundations using fast-setting thin-layer mortar. An offsite manufactured roof completes the system, allowing for cost-effective construction. This is one of a number of build types currently being trialled by Barratt Homes, which is keen to experiment with new methods of construction that offer improved speed of build. 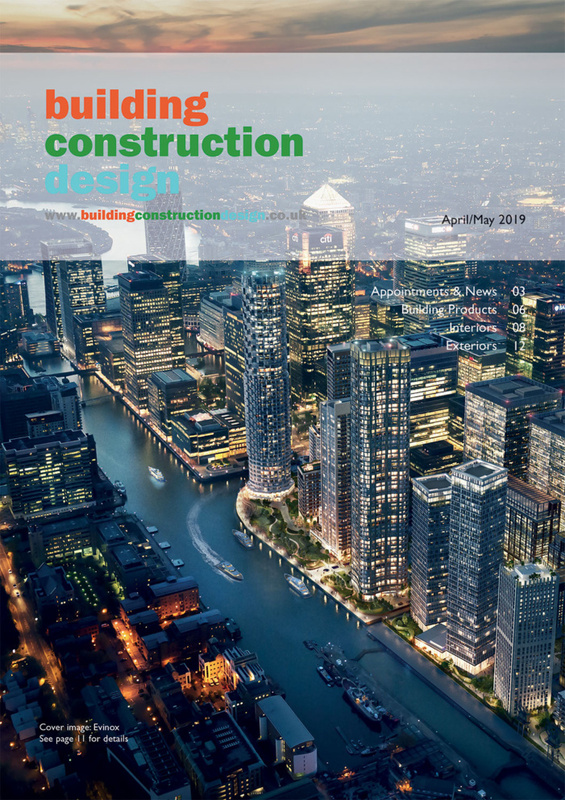 As developers come under increasing pressure to deliver more units at a faster pace to meet Government housebuilding targets, from foundations to the roof, more creative approaches such as an increased use of aircrete and methods incorporating elements of offsite construction will become increasingly important to the industry. 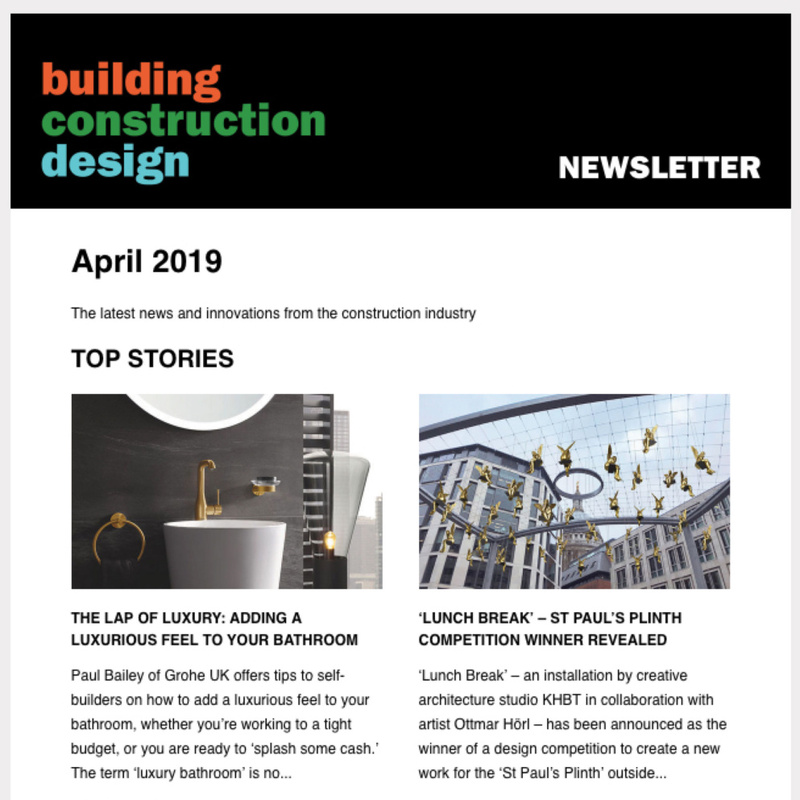 It is this kind of forward-thinking approach which will secure the future of the UK construction industry in an increasingly uncertain political climate.